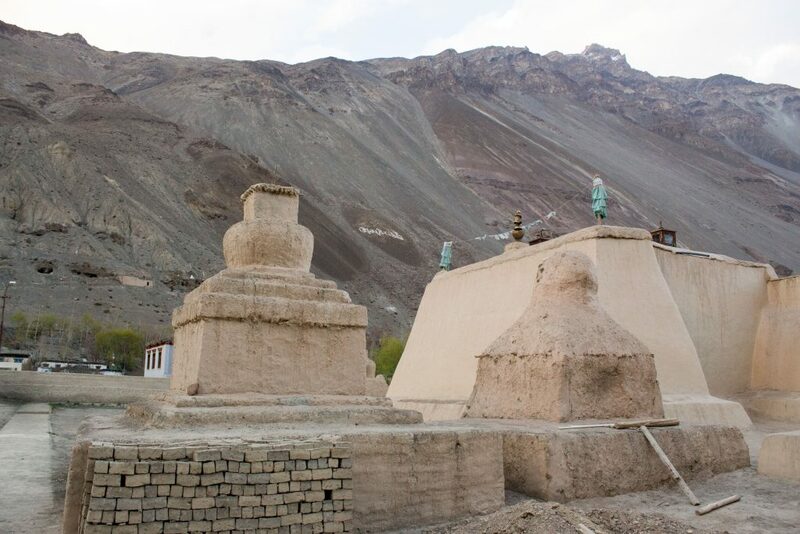 Tabo Monastery was founded 1022 years ago by the famous Buddhist translator Rinchen Zangpo on behalf of the king Western Himalayan Kingdom Guge, Yeshe-O. The interior walls of the monastery contains ancient and priceless murals, frescoes, thangkas which depict tales of Buddha Pantheon. Situated at an Altitude of 4200m is the lake of Dhankar. A short hike of 1 to 2 hrs on a well definitely trail from the new Monastery will take you to the shores of this beautiful lake. 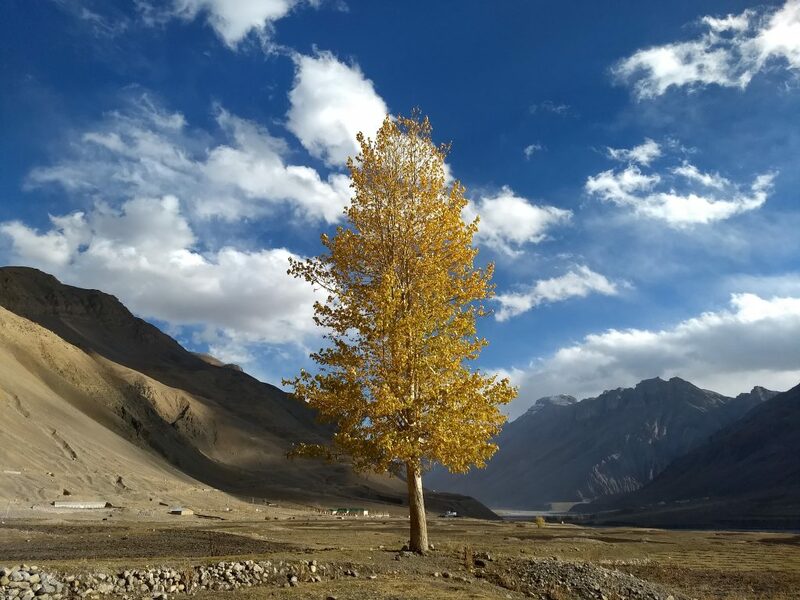 As you climb up one will be astounded by the magnificent view of the Spiti Valley with Dhankar village and the monastery adorning the foreground. The lake is considered holy and camping or fishing is strictly prohibited near the lake. Did you know that Pin Valley is also called as Iceland of India? 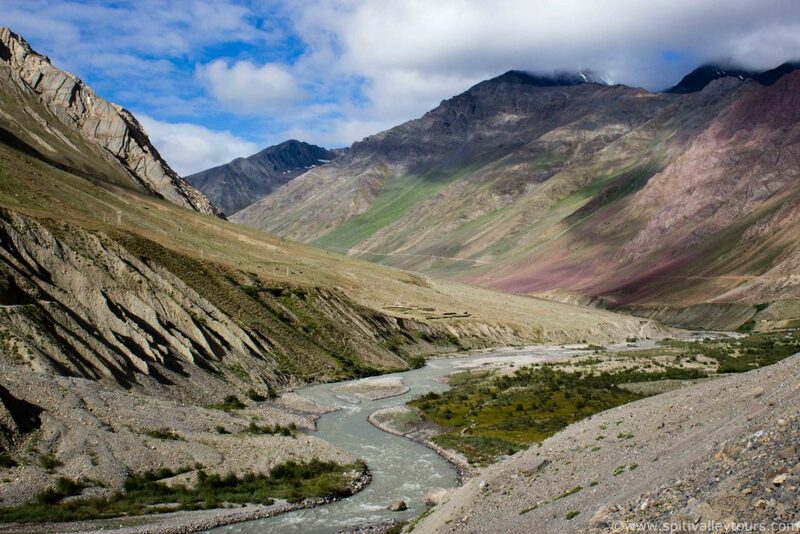 Flowing perpendicular to Spiti is the Pin River which originates in the heart of Great Himalayan Range in Bhaba pass. The valley corresponding is called Pin valley. The landscape here is different to what of Spiti. Pin receives more rainfall and snowfall in winters making the landscape lush green in summers. Add to it the beautiful villages, different colored rocks and snowcapped peaks this landscape is nothing less than magical. Take a drive to this valley in afternoon when the light is soft and you’ll click photos that are worth remembering for lifetime. People often ask us what’s there in Kaza to see. Apart from the monastery and the main market most don’t venture outside. 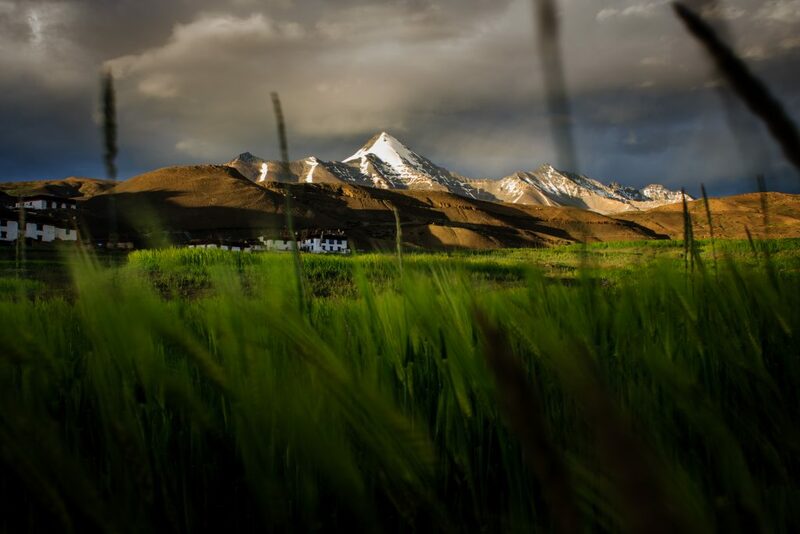 From main market or the helipad, take a walk amidst the fields of Kaza until you reach the banks of Spiti. Surrounded by high mountains and lush green crops, listening to the gusting winds and the gushing River. 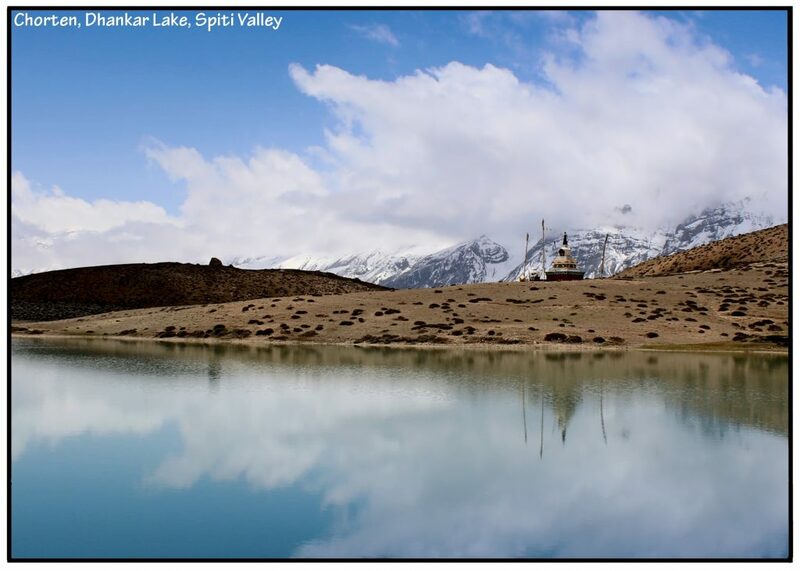 We assure it’ll be a stroll that will be etched in your Spiti travel memory. 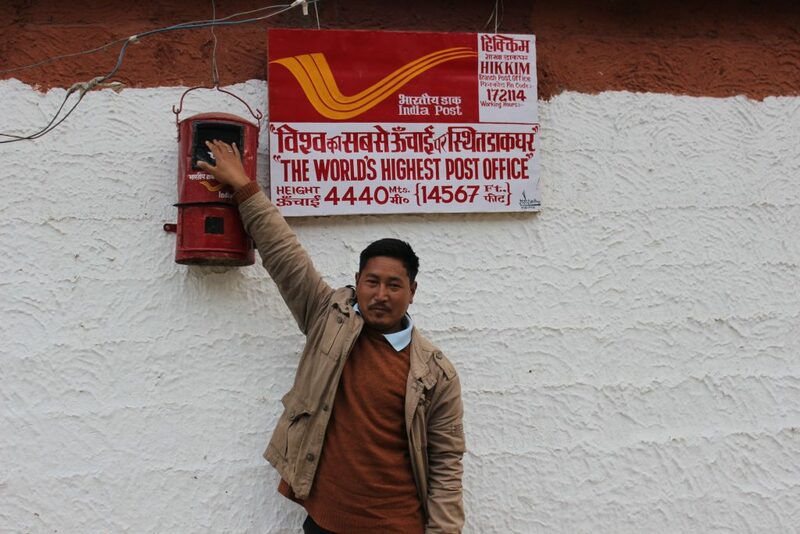 Send Postcards from the Highest Post Office in the world. Hikkim (4440m above MSL) a small Hamlet in Spiti boasts the operation of Highest Post Office and Highest Polling Station in the world. You may not be allowed to cast your vote from the roof of the world, but you can definitely boast by sending memorable postcards to your friends and family anywhere in the world. Langza or Langcha is probably the most beautiful village in Indian Himalayas. It situated in the shadows of a 6303m peak called Mt. Chau Chau Khang Nilda. A Photographers’ Paradise or a Dreamland for star gazers. A place that provides you spectacular vistas for 24 hrs a day. Morning shine on the statue of Buddha(see profile pic), Golden glow of Mt. CCKN in the evening and the Milky Way garlanded night sky. You can’t miss this if you happen to be in Spiti! 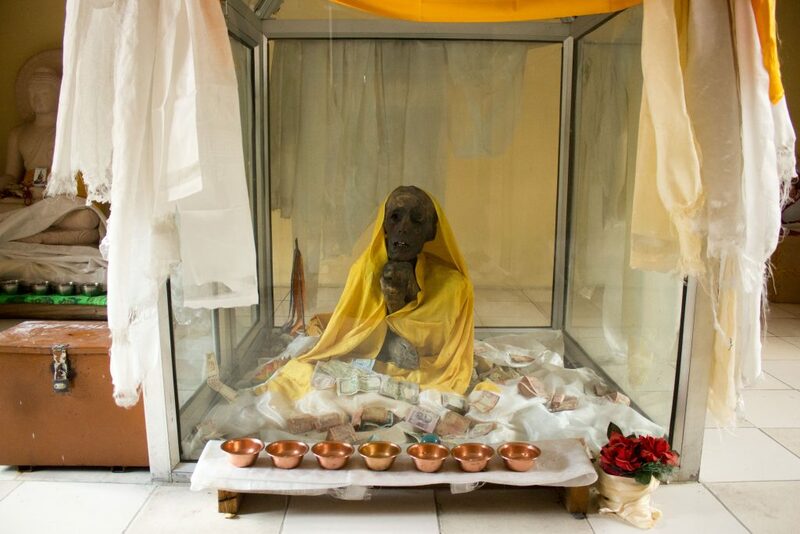 Kee monastery gives Spiti its iconic image. 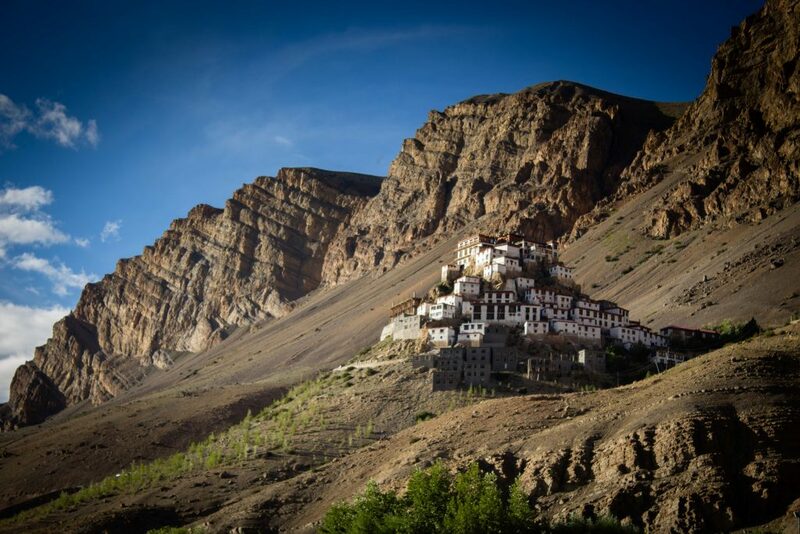 An institution of the yore, this is the most popular monastery of Spiti Valley. Home to several young monks you’ll be fascinated to see them playing a game of cricket, volleyball or attending prayer sessions. Monastery has 6 shrines, assembly halls, Monk quarters, guest dormitory and dining hall within. The view of the valley from the top of the monastery is spellbinding. After your visit to all the shrines the monks invite to a cup of tea. The refreshing taste of this herbal tea will linger in your memory for a long long time. 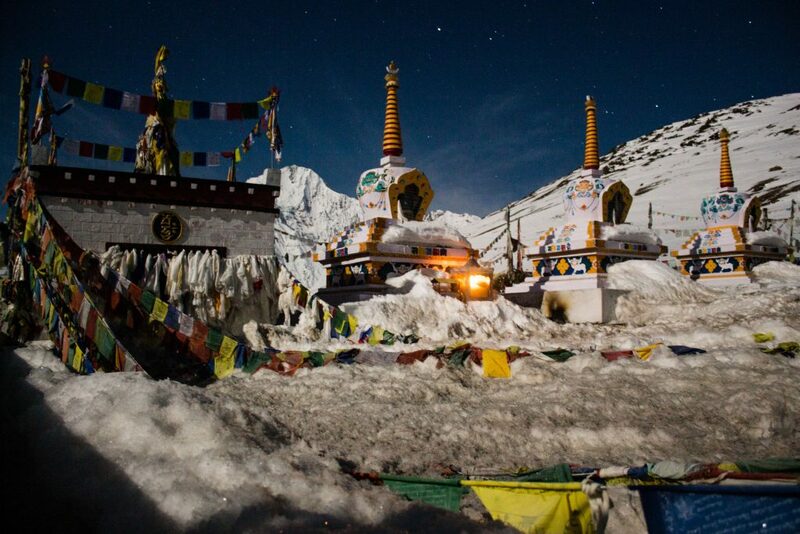 Named after the residing Goddess, Kunzum La is also the gateway to Spiti Valley when you’re coming from Manali. The place where Spiti originates and cascades down the first rocky slopes like a baby taking its first baby steps before turning into the raging river when it meets Sutlej. It is customary for anyone who passes this route to stop at Kunzum La doing a clockwise circumambulation of the Stupas and offer their obedience for safe journey on some of the toughest roads in the world. Situated at an Altitude of 4300m amidst the majestic ChandraBhaga peaks is a photographers’ Paradise, not just because it has breathtaking landscapes. Chandratal is also a wetland reserve, home to some of the most beautiful and rare birds. Most people witness Chandratal only from it’s southern banks. Muster up energy and go for the circumambulation of the holy lake. As you reach the far end of the lake and turn back you’ll witness Chandratal in it’s magnificent glory. 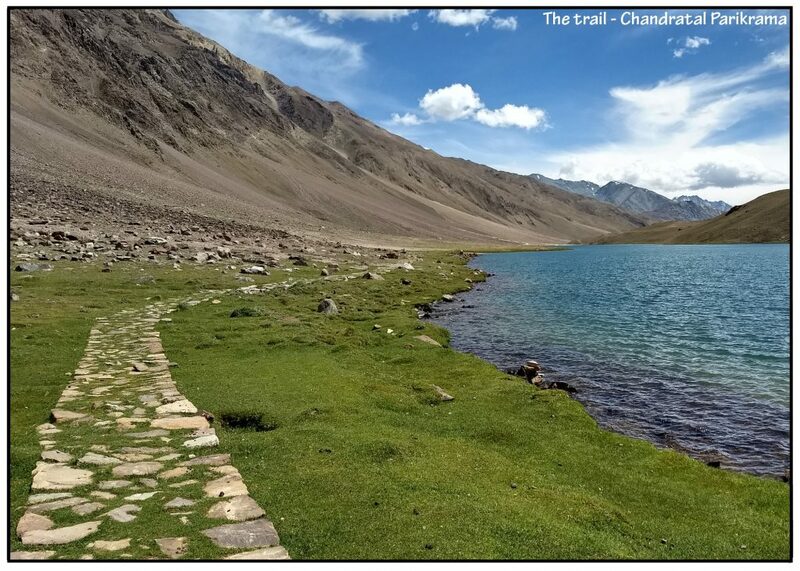 Turquoise waters of Chandratal, lush green grasslands, Snow peaks all around you and deep blue skies – a picture perfect frame will be etched in your memory forever.